​2016 Back to School Celebration! 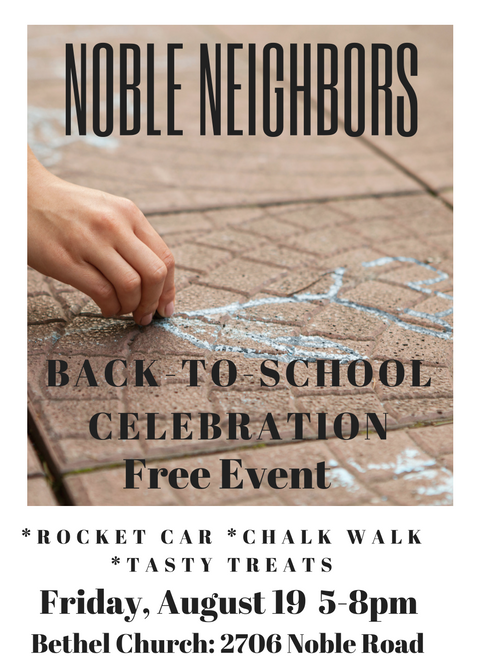 Noble Neighbors wanted to encourage kids to be excited about the upcoming school year, so we asked Bethel Church if we could use their front lawn, brought popsicles and chalk, hired the Rocket Car, and invited the CH Fire and Police Departments to show off their fun stuff. Our aim was to reach out to families in the apartments along Noble Road (although everyone was welcome!) and make better connections with them. Americans and Nepali refugees responded alike with joyful smiles and fabulous sidewalk artistry. Laugher is contagious in every language!